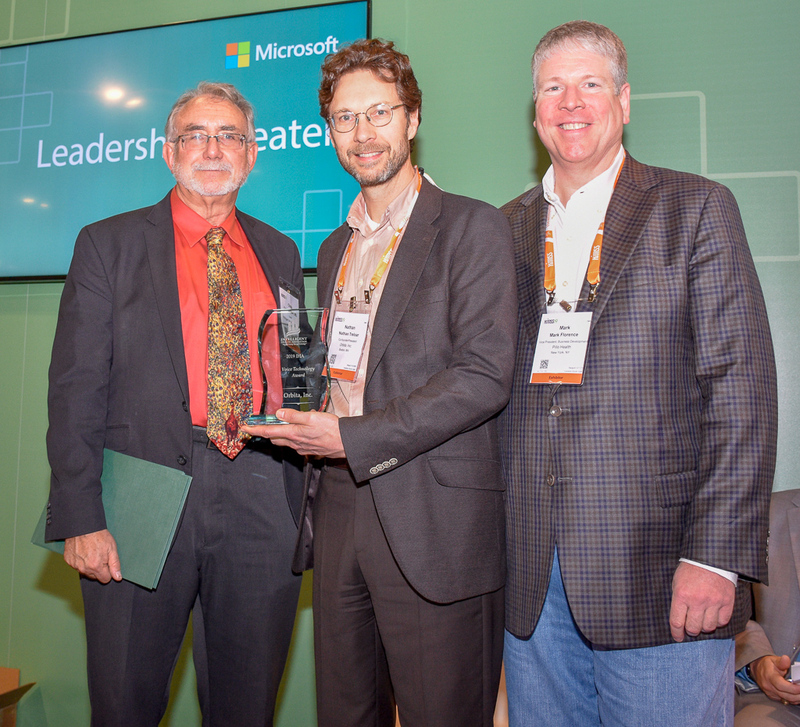 « Award Winning Pavilion Returns to HIMSS! NEW YORK – Feb. 13, 2019 – PRLog — To be considered for any of these awards, one or more of the following technologies must be used in the healthcare solution: Auto-ID, BAP, BLE, BYOD, biometrics, MEMS, nanotechnology, NFC, mobile devices, mobile apps, RFID, RTLS, sensors, tablets, telecommunications, wearable technologies or wireless. In the rapidly evolving use of voice-enabled devices, the IHA offers a new award, the IHA Voice Technology Award. This award recognizes the breakthroughs the technology is having in institutional settings such as OR’s as well as with the patient at home. The recipient is Orbita, Inc. with Pillo Health for voice-powered integrated remote care management, care team coordination, telemedicine and medication dispensing in a single, intuitive home device. Individual recognition goes to Nathan Treloar, President & Co-founder, Orbita, Inc.; Bill Rogers, Chief Executive Officer, Orbita, Inc.; James Wyman, Co-founder and Chief Operating Officer, Pillo Health; and Mark Florence, Vice President Marketing, Pillo Health. NEW YORK, November 21, 2018 — The Intelligent Health Association (IHA) announced today it seeks to recognize pioneers in the use of voice technology in providing healthcare. The IHA VOICE TECHNOLOGY IN HEALTHCARE AWARD recognizes those at the intersection of voice technology and healthcare who are making significant contributions to revolutionizing the delivery of healthcare. Similar to the PATHSTAR award, consideration will be given to any prototype, trial, or experiment that has the potential for scaling up or transferring to other programs. Special consideration will be given to evidence-based entries. Subjective demonstrations and examples will be accepted. However, objective metrics and analytics are deeply appreciated. The voice technology award is one of five highly regarded competitive awards to recognize individuals and institutions who have provided leadership and pioneered the use of technology for the betterment of healthcare. Judges for this award are Dr. Teri Fisher, MSc, MD, CCFP(SEM), Clinical Assistant Professor, Faculty of Medicine, University of British Columbia; and Michael Eakins, MFA, Creative Lead, METIL, Institute for Simulation & Training, University of Central Florida; and Sean Kane, Client Engagement Manager, Mayo Clinic Global Business Solutions. Dr. Fisher is a keynote speaker, educator, consultant, and the host of “Voice First Health”, the leading blog and podcast documenting the rapidly expanding intersection of voice technology and healthcare. Michael Eakins has been involved in multiple years of research in voice technologies for intelligent homes, connected healthcare, mobile, and innovative platforms, including Lake Nona’s Wellness Home built on Innovation and Technology (WHIT). Sean Kane is looking for unique and new ideas to help healthcare advance in the voice space. Mayo Clinic’s Global Business Solutions are the creators of the award-winning Mayo Clinic First Aid Alexa Skill. Advisors for the IHA Voice Technology Award are long-time IHA activists and educators. Dr. Suraj Kapa, MD, Department of Cardiovascular Medicine at the Mayo Clinic of Medicine is interested in the cross section between voice, AI, and standard clinical data in optimizing ambulatory rapid disease detection. David Metcalf, Ph.D. is CLO Advisor/Researcher at the Institute for Simulation and Training at the University of Central Florida. Nominations are now being accepted through December 31, 2018 at ihassociation.org/awards. IHA’s other competitive awards are IHA Improving Patient Care and Health Delivery; IHA Innovative Healthcare; IHA Comprehensive Integration; and IHA PathStar Award. Award recipients will be invited to participate in the Intelligent Health Association Awards ceremony February 12, 2019 at the Healthcare Information and Management Systems Society (HIMSS) 2019 conference and exhibition in Orlando, Florida. The judges for the remaining competitive awards are as follows: Senior VP Research and Professor in Computer and Electrical Engineering, Florida Institute of Technology, Gisele Bennett; University of California-San Francisco professor emeritus Donna Hudson; and retired Lucent Technologies manager, John Walz. The Intelligent Health Association (IHA) is a not-for-profit, global organization founded to elevate awareness and to educate the life sciences community on the adoption of new technologies. Educationally focused, IHA is a vendor-neutral, technology and frequency agnostic association dedicated to promoting the use and adoption of auto-ID, NFC, RFID, RTLS, sensors and wireless technologies in the healthcare, assisted and independent living and nursing home industries. New in 2019 is an emphasis on voice technology. For more information, please visit: www.ihassociation.org.